Plan your day using Vancouver Visitor TV – all that Vancouver has to offer – in thousands of Vancouver hotel room, 24 hours a day, 365 days a year! Excitement and wonder await you on Playland’s rides! 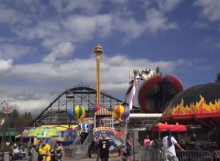 From the hair-raising Crazy Beach Party to the wet’n’wild Flume, Playland has a variety of screaming options! 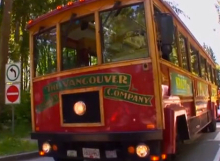 The Vancouver Trolley Company is one of the the best ways to see the city. You can hop on and and hop off, exploring to your heart’s desire. See Canada like never before at Vancouver’s new must-see attraction! 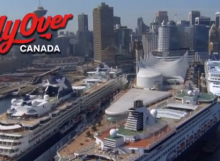 At its core, FlyOver Canada is a breathtaking, all-ages, flight simulation ride like no other! You will take off into a huge dome screen with the latest in projection and ride technology creating a true flying experience (complete with wind, scents, and mist!). 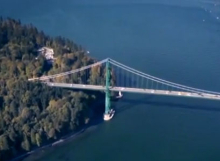 From sea to sky high, enjoy Vancouver’s breathtaking beauty the Helijet way! Whether your heading to Victoria, looking to charter a flight, or just want to get a bird’s eye view of Vancouver – Helijet is there to help. 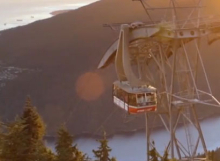 Just 15 minutes from downtown Vancouver it is no wonder Grouse Mountain is one of the city’s premier attractions. 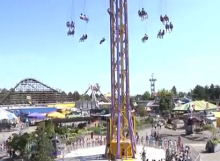 With summer activities including mountain ziplines, paragliding, lumberjack and bird shows, the sky ride up, the wildlife refuge home to two grizzly bears, and much much more – Grouse Mountain offers something for everyone. The Vancouver Lookout is literally one of the top things in Vancouver. Take in the birds eye view with a 360 degree aerial view of the city from the top of the Harbour Centre! 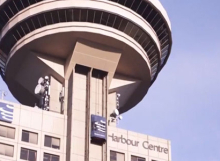 The Vancouver Lookout takes sightseeing to a whole new level!